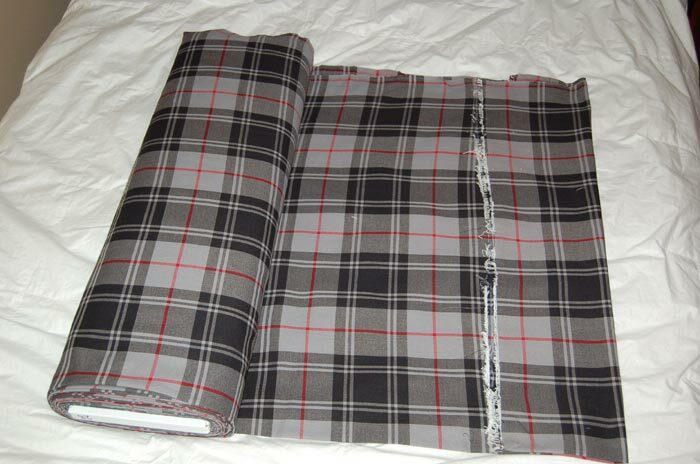 Moffat Tartan Material - 54" wide. Minimum order is 1 yard. 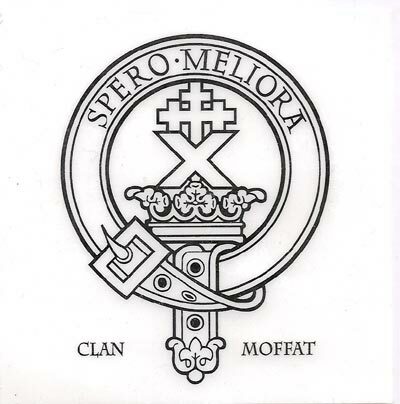 A 4" x 4" decal of the Clan crest in black on a white background. It is reverse printed so it can be affixed to the inside of a car window. 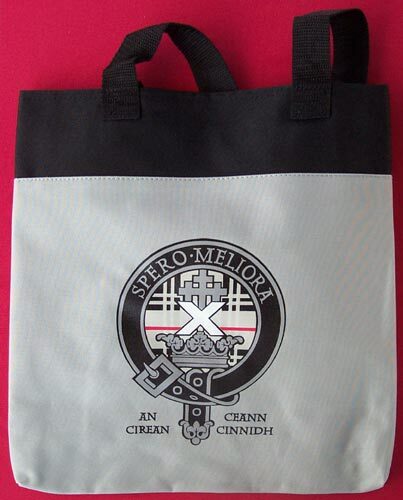 Tote Bag - 14" x 15". 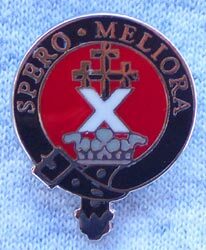 Crest on one side, list of Moffat names on reverse (see tee-shirt below for the image on the reverse. 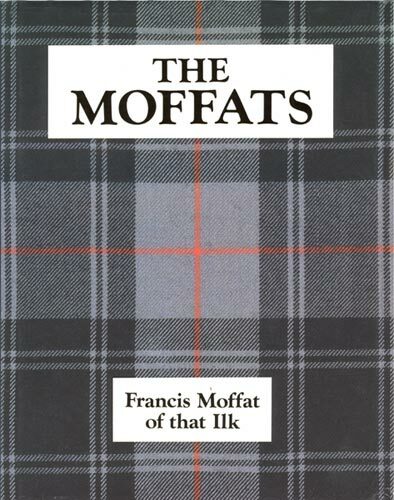 Book The Moffats by Francis Moffat of that Ilk. 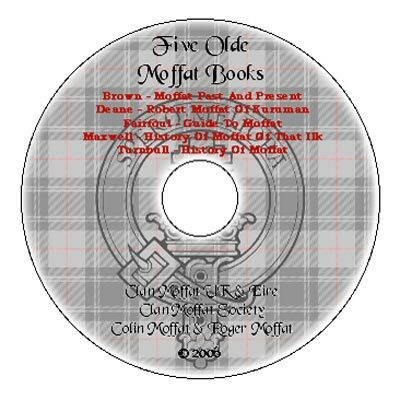 5 olde books that are of interest to Moffat researchers scanned and saved to a CD. 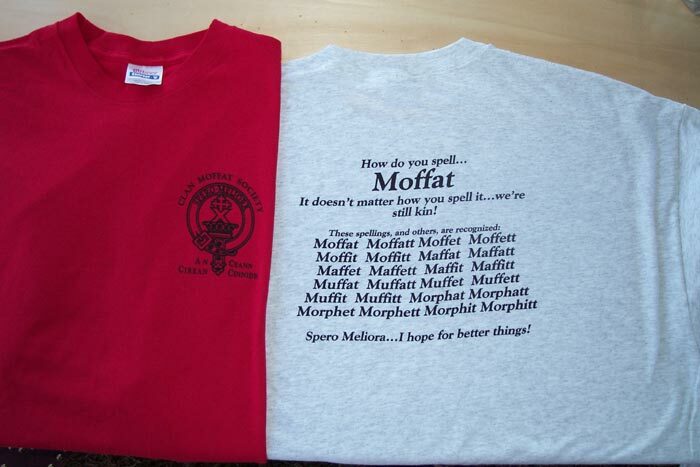 The first 12 issues of the Newsletter of the Clan Moffat UK published between October 2000 and April 2006. Scanned by Colin Moffat and saved to CD as Acrobat PDF files. Aviator Shirt. A tailored man's uniform shirt made of 65 percent polyester and 35 percent cotton poplin. 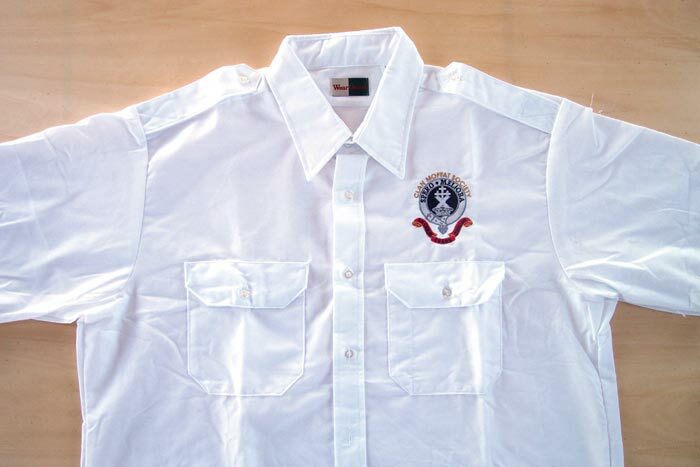 These shirts have log or short sleeves, pockets with mitered button-down flaps, and shoulder epaulets. The collar is a typical dress collar suitable for wear with or without necktie. 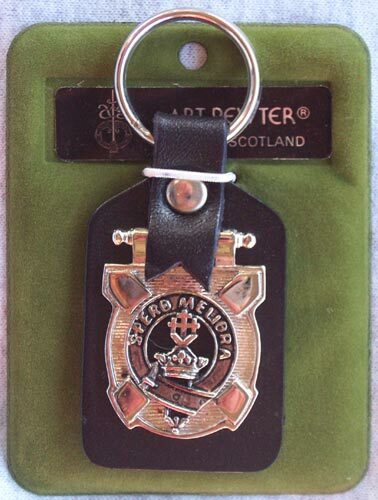 In white only, they are supplied with embroidered clan crest badge on the left pocket. Sizes M (38-40), L (42-44), XL (46-48). Adult Sweatshirt. Available in Red or Ash colour. 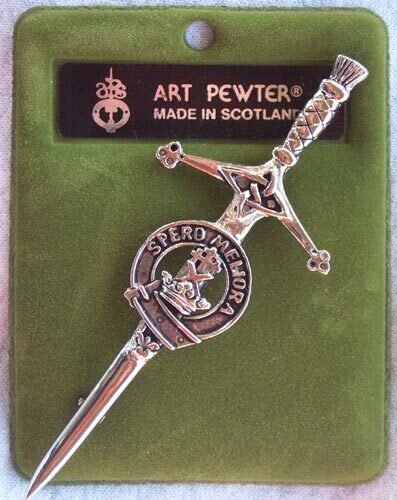 Image shows crest on front, list of Moffat names on reverse. Limited Sizes available. Prices above include shipping in the USA. 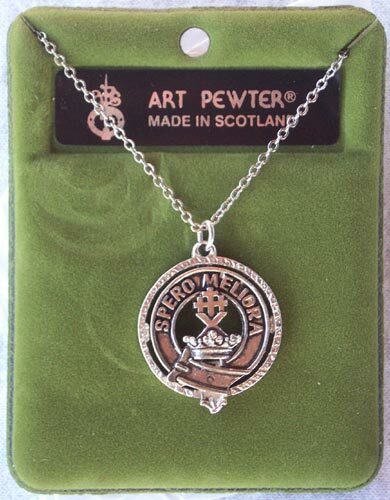 Contact the QuarterMaster for information, including shipping outside the USA and to place an order. 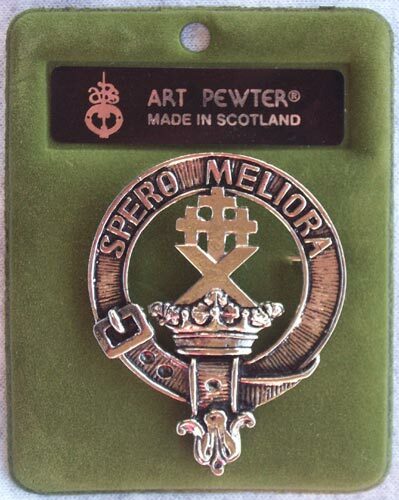 For now orders must be paid in US funds by cheque or money order mailed to the QuarterMaster. We are exploring offering online ordering and payments available world-wide. You are Visitor Number 23,177 to stop by the Quartermaster's Store.